The San Anton Gospel Choir in rehearsal. 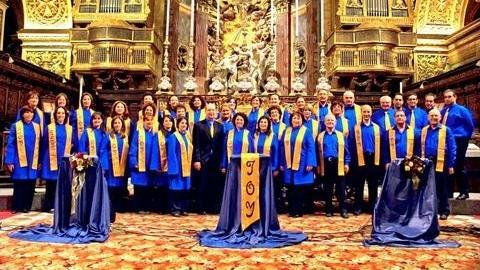 The Joy Gospel Singers in concert at St John's CoCathedral. The corridors at San Anton School are alive with rhythm and song as the school choir is busy rehearsing for a charity concert being organised by the Joy Gospel Singers on Satuday, the proceeds of which will go to the St Jeanne Antide Foundation, a local NGO. The foundation runs a drop-in centre in Tarxien, provides counseling support, and undertakes community projects in Zabbar and Fgura, providing family consultations and support groups to relatives of mentally ill persons. It also offers individual and group-based learning support to vulnerable children and adults and engages in overseas development projects in poverty-stricken countries. The Joy Gospel Singers are well known for their gospel music and are also celebrating their 10th anniversary this year. The choir has participated in various local and international festivals and concerts over the years and this year's concert is promising to be yet another memorable evening of uplifting spiritual, traditional and gospel music. Accompanied by a piano, drums, guitars, violins, flutes and oboe, the choir of 50 singers includes altos, sopranos and tenors. Michelle Abela is responsible for the direction and musical arrangements of the choir. 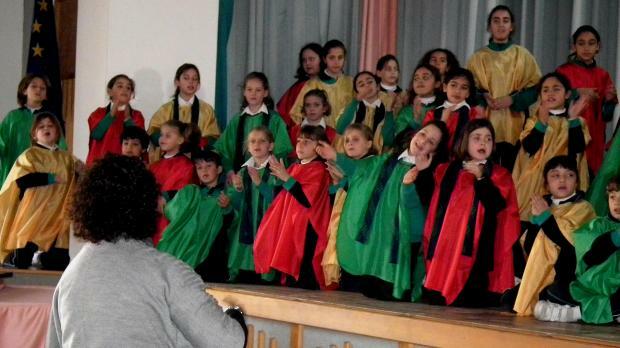 This year's concert will also feature 60 members of the San Anton School Children's Choir, also directed by Ms Abela. Saturday's concert will feature a selection of all-time favourites including You Raise Me Up and When you Believe as well as more recent works such as Amen and Standing in the need of a blessing. The concert will be taking place at the Teresa Spinelli Hall, St Monica School, Brighella Street, Fleur-de-Lys, at 7.30 p.m.
Tickets may be purchased from the Jeanne Antide Centre, Tarxien, St James Cavalier, Millennium Chapel, St Julian's, San Anton School, Imselliet and at the door prior to the event. Adults €10 and children under 12 years €3.